Adopting a new pet can be thrilling. But shelter and rescue animals have specific needs that your family should prepare for. Here are our top tips for safely bringing home a rescue or shelter pet. Tips for Safely Bringing Home Your New Rescue or Shelter Pet. Our tips for safely bringing home your rescue or shelter pet start with having the necessary items at hand. A collar with an ID tag. 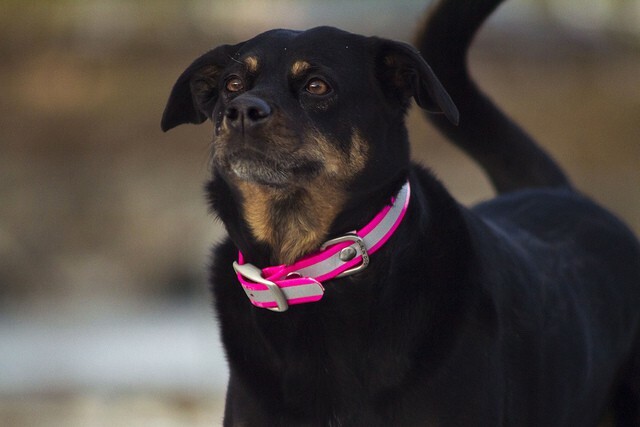 If your new friend escapes and gets lost, a collar will let people know he or she belongs to someone. An ID tag with your contact information will help your new pet to get back to you. A leash (for a dog). Walkies can help both you and your pet relax and get to know each other better. You can also get a good idea of how your new dog will react to other people, animals, bicycles, etc. Stainless steel bowls for food and water. High-quality pet food. Many experts recommend dry food for both cats and dogs, as it helps keep their teeth clean. Know how much your pet weighs and follow feeding instructions. Pet stain and smell removers. Because your new pet will be nervous, accidents may happen. It’s best to be prepared. You can also try some natural techniques for stain and odor removal, using ingredients you may have around the house. Grooming supplies, including a comb or brush and a nail trimmer. This is especially important if you’ve adopted a long-haired pet. Many animals groom each other for comfort and bonding, and grooming can bring you and your new pet closer. Toys. Play can help you to bond with your new pet. If your dog is crate-trained or in training, a food puzzle toy can keep him or her from being bored in the crate. Cat toys can give cats an outlet for aggressive energy — and amuse you as well. A hide, crate/kennel, or another place to get away. A kennel or crate can be like a den for a dog: a safe place to retreat to when he or she is feeling overwhelmed. If you plan to give your dog a crate, make sure it’s large enough for him or her to stand and turn around in, and equip it with a blanket or dog bed for comfort. 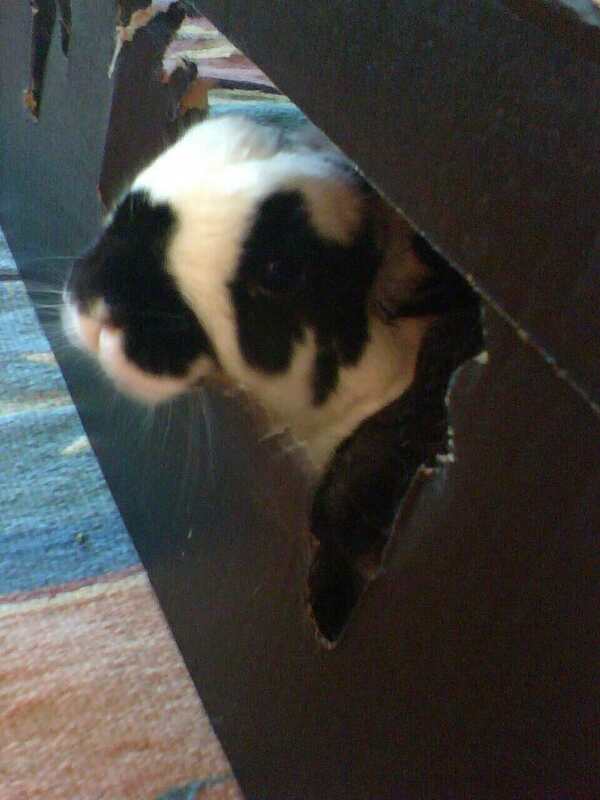 Other animals, like rabbits, will appreciate a box that’s closed on three sides. That way, they can retreat when they’re feeling shy. A new cat may hide under furniture or in closets until it feels comfortable. More tips for safely bringing home your rescue or shelter pet. Plan to be home for a few days if you can. This is a time of transition and adjustment, for you, as well as for your new friend. Take this time to get to know each other, establish routines for feeding and rest, determine if there are any housetraining or behavioral issues, and do some shelter-animal specific training. Establish Ground Rules. How do you plan to structure your relationship with your new pet? Do you plan to allow him on the furniture? Do you have rooms in the house where your pet will not be allowed? Will a specific family member be the one to feed, groom, or walk your pet? The structure allows both you and your pet to establish boundaries and routines, and to feel protected. Create family rules to help your pet, and you, to settle into this new way of life. Be patient. 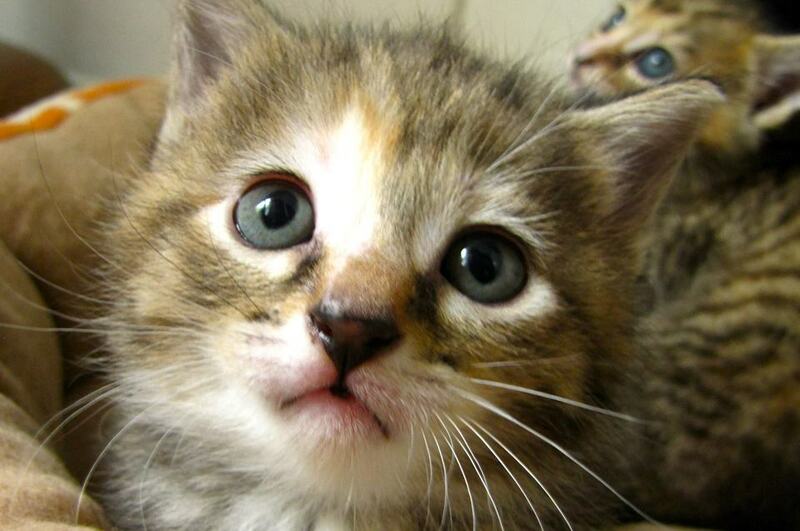 Animals, like people, need time to get used to new people, new surroundings, and new situations. Your shelter or rescue may give you information about your pet’s background that might help you to understand behavioral issues, or they might not. Regardless, there are a number of behavioral issues that often arise when bringing a shelter pet home, and it helps to be prepared. Anxiety or fearfulness. This is understandable. Your pet may be leaving a noisy kennel and is entering the unknown. He or she has no idea what to expect. Give your new pet plenty of space, and allow them to come to you for affection, at least until you get to know each other. If your pet has an extreme and sustained level of anxiety, talk to your vet about different medications and over the counter calming products that may help. Food Aggression. Animals who have had to fight for food, or who have experienced hunger may growl, lunge, bark, or bite if a human or other animal comes too close at feeding time. If this is a problem, feed your new pet alone or in his or her crate until they realize they do not need to guard their food. Territory-marking. Animals may want to scent-mark their new environment, including the inside of the house. That’s why you should keep plenty of odor-neutralizer on hand until you train him otherwise. Destructive behavior. 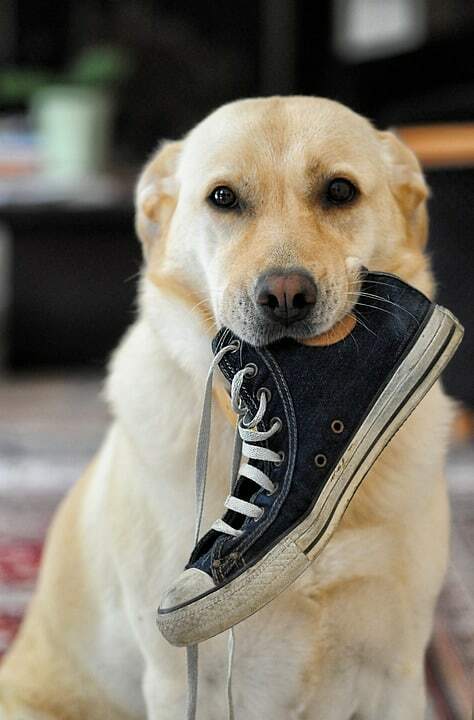 Anxious or bored animals may destroy things in their environment: pillows, carpets, toys, shoes, clothing, and more. This isn’t a malicious behavior; it’s your pet’s way of telling you something isn’t quite right. Toys, walks, and playtime with you can help to alleviate boredom. Bringing home a new pet can be an exciting time, for you and your pet. Adopting animals from a shelter or rescue saves lives. It pays to be prepared. In this case, the winner is your newly homed shelter pet and you.